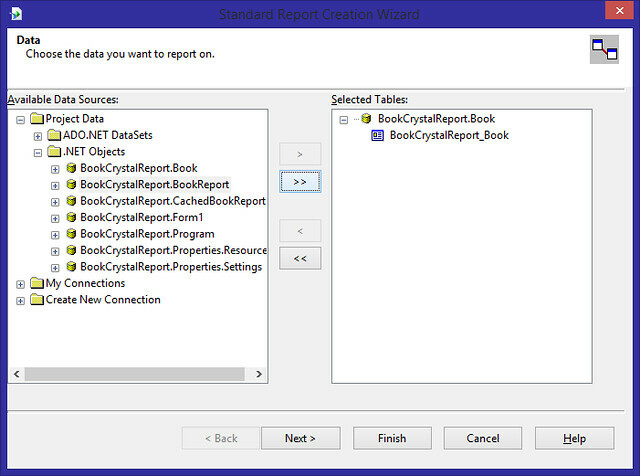 [T]here are reasons why i write this crystal report tutorial using IEnumerable data source. 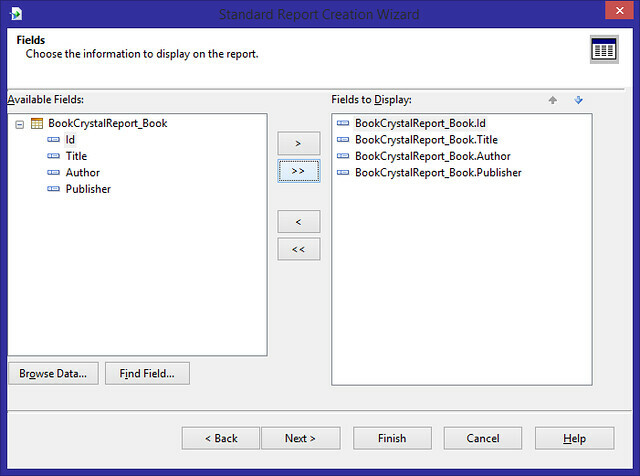 First, using IEnumerable we can set data for the report without database in an easy way. Second, we can also using IEnumerable to work with data from database. Aside from that, IEnumerable is widely used to store data as in Entity Framework or if you ever create repository using ADO.NET and write raw query there, you should get what i’m talking about. We will need windows form application to make it working, before you go to next steps, create this type of project first. 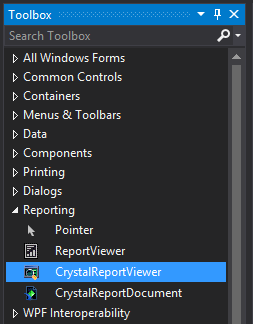 If you have installed Crystal Report you will see on the Toolbox a CrystalReportViewer component under Reporting node. Drag and drop it into your form. 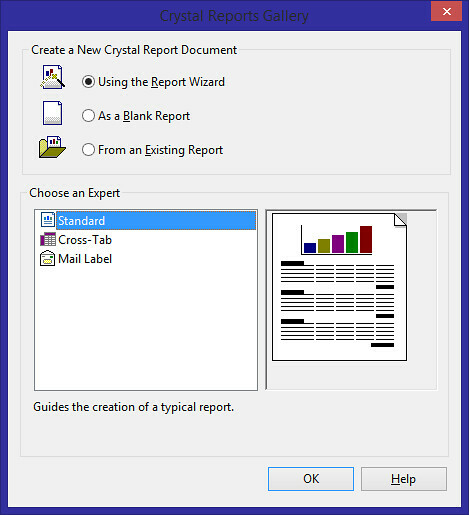 Model, we need a model to hold the value of something we need to display in the report. 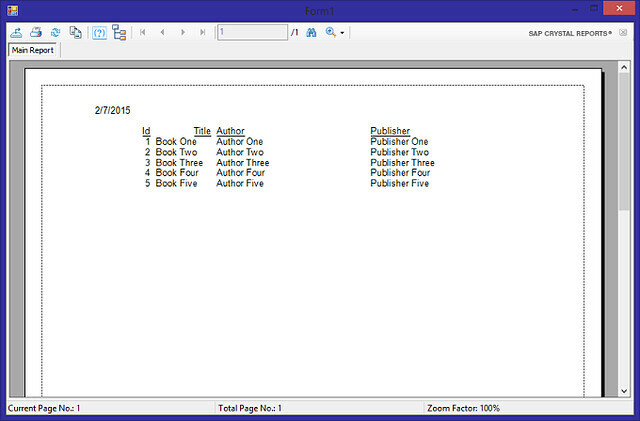 In this case i create Book model. For simplicity there are only 4 fields. 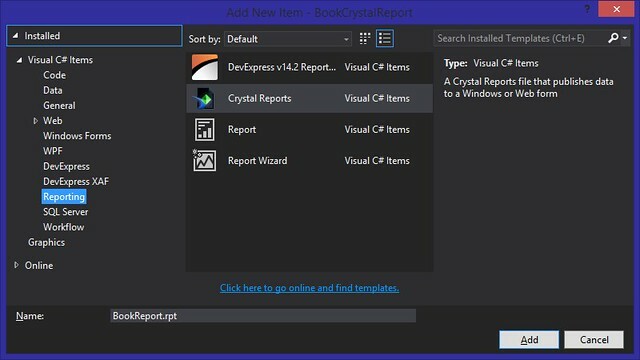 On next window select Project Data – .NET Objects – BookCrystalReport.Book (class model we created before) and mark it as selected tables. 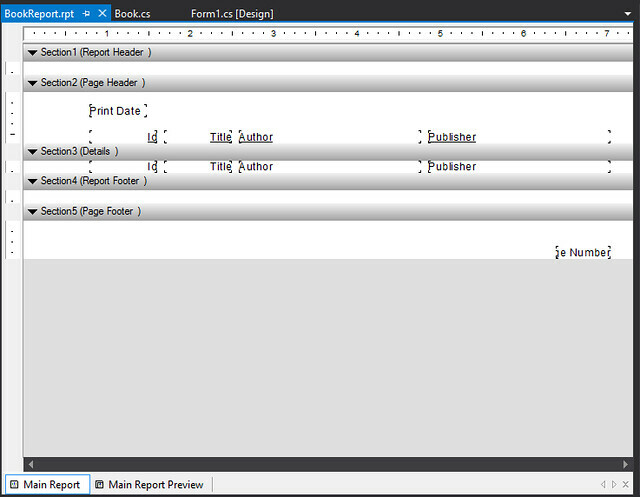 Last, select all fields and click Finish. Now it is time to fill the report with data. Again, for simplicity i use in memory data but if you know repository pattern that its return value is list of an object you will have no problem to use it with database. 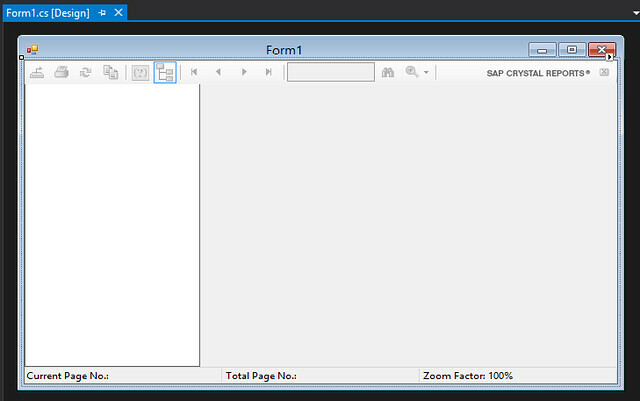 On the code behind of the form modify the constructor as below code. 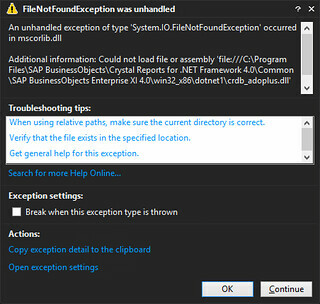 Run the program and if you have error like below image you only need a little modification.